At a time of loss, funeral flowers and elegant arrangements are able to add a beautifully delicate touch. Whether you’re looking for bold, eye-catching designs or soft and subtle floral arrangements, we can create the perfect tribute from the heart. Our most sought after designs include casket sprays, hearts, crosses, and traditional funeral wreaths. At FlowerMagic, we have lots of bespoke designs available, and we endeavour to keep the cost as reasonable as possible without compromising on quality. From contemporary to traditional designs, we work from our base in Langport, Somerset to offer you the perfect flowers for your loved ones. Trust us to help you express your deepest condolences while offering comfort and support. FlowerMagic offers timeless floral arrangements for the memorial service, styled by our caring florists to ensure your complete satisfaction. If you have something in mind, get in touch and we’ll create a customised tribute for you. 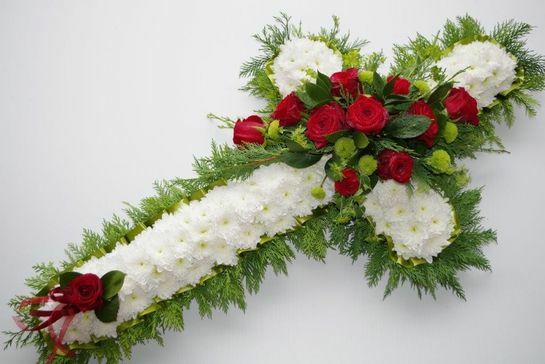 For further information on our funeral flowers and wreaths, call us, in Langport, Somerset.